See guest artist Emilio Santini in a live, narrated demonstration in the Amphitheater Hot Shop on August 19 from 6–7:30 pm. Emilio Santini is one of the most widely recognized names in flameworking. 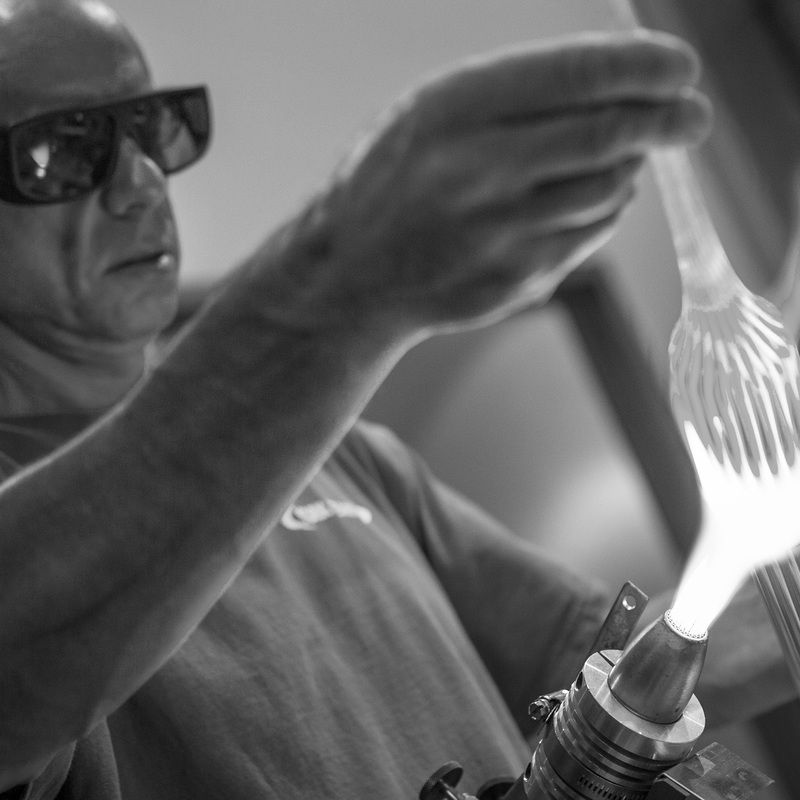 Born in Murano into a family with 600 years of glassworking tradition to its name, Emilio is a class favorite for teaching both new and advanced students all over the world. Recently, in his own work, he has begun to combine his flameworking talent with furnace blown and cast work. Emilio Santini was born in Murano, Italy, into a family with 600 years of glassblowing tradition. He currently resides in Williamsburg, Va. He has recently begun to combine his flameworking talent with furnace blown and cast work. He has taught extensively in this country's major glass schools and is a popular instructor for both beginning and highly skilled students.